Trader Michael Milano worked on the floor of the New York Stock Exchange on a wild Wednesday. 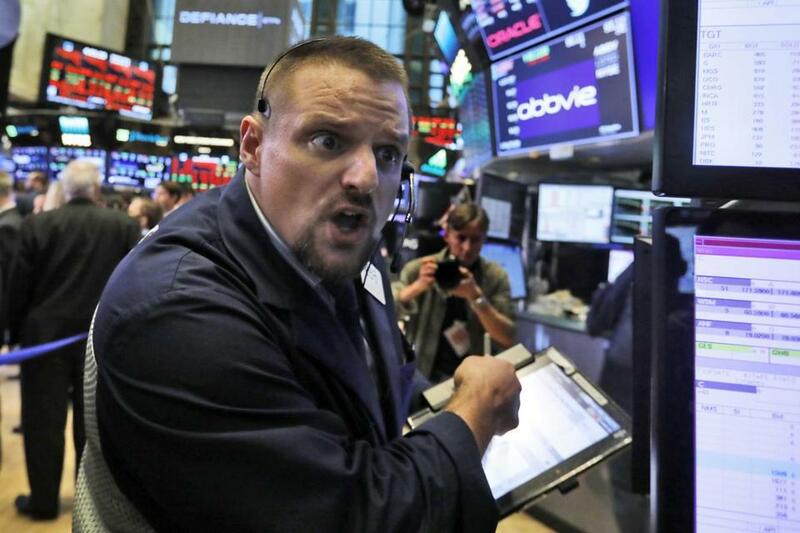 October is known as a cursed month on Wall Street, and this week is confirming investors’ worst fears. 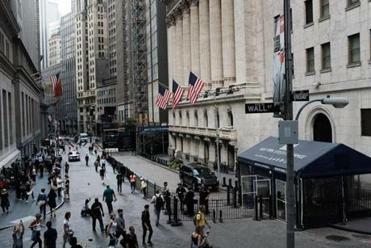 All three major stock indexes dropped sharply on Wednesday and Thursday, with the Standard and Poor’s 500 down 6.7 percent over the last six days. The trigger? Well, that’s not entirely clear. There was no revelation, no obvious market-shaking news to spark a sudden sell-off. But pressure had been building for a collapse like this in recent weeks — slowly but dangerously. Most dramatic among the warning signs was a jump in the interest rates paid on government bonds. In just the first week of October, the annual yield on the 10-year Treasury note rose from 3.08 percent to 3.23 percent, the highest level since 2011. Those yields fell a bit Thursday, but they remain at their highest level since 2011. In itself, that’s not necessarily a bad thing. Higher interest rates mean that seniors and other risk-averse investors can stash their money in bonds and still make decent returns. More generally, these higher rates signal a kind of optimism, suggesting that investors expect the economy of the future to be stronger than they once thought. Rising interest rates were a big component in Wednesday’s equity sell-off that saw the Dow lose more than 800 points. What’s more, higher interest rates are exactly what the Federal Reserve Board believes the US economy needs to ensure growth doesn’t speed up too much. Otherwise, you could end up with spiraling inflation. But here’s the problem. Rising bond yields aren’t great for stocks. Think of it from an investor’s perspective: Why risk money on a company whose shares might go up or down when you can buy bonds with an increasingly attractive, guaranteed return? But as more investors turn to bonds, that reduces demand for stocks and drives down prices. This may be what President Trump had in mind when he lambasted the Federal Reserve after Wednesday’s Wall Street bloodbath, saying: “The Fed is going wild. They’re raising interest rates and it’s ridiculous.” It’s at least possible that a different Fed could have kept interest rates low, leaving investors little choice but to stick with stocks. Still, Trump was also trying to deflect attention from another issue that’s weighing down investor optimism: his trade war with China. Earlier in the week, the International Monetary Fund cut its estimate for global economic growth, citing the negative effects of Trump’s escalating trade war. So far, there’s been little sign of a slowdown in the US economy, with early estimates of third-quarter GDP showing continued growth. But there is concern that the Trump bump may fade in the fourth quarter and into 2019, when the temporary boost from the Republican tax cuts disappears, leaving just the drag that comes from higher deficits. Some companies are already hinting that their future earnings may not be as robust as expected, dampening expectations as if to prepare investors for coming disappointment. Even if the fears prove unfounded, and the economy continues to perform well, that might not save the stock market. Stock prices just seem to have gotten too high. For instance, recent months have seen a growing disconnect between rising US stock markets and stagnant or falling stock markets elsewhere around the world. Plus, these prices look increasingly out of line with corporate earnings. This is a common way to gauge whether stocks are overvalued: comparing share prices with earnings over the past decade. By this measure, the current market looks quite unusual, with shares outpacing earnings to a degree not seen since the dot-com bubble. And when share prices get too high, they have nowhere to go but down. Wall Street woes and Main Street life aren’t always connected. In 1987, the Dow fell 22 percent in a single day, with barely a ripple across the rest of the economy. Then again, the fundamentals often look good just before the fall. After a market downturn in early 2007 — less than a year before the financial crisis — a different White House spokesman, Edward Lazear, gave much the same response as Shah did.